915 Doyle Road Suite 303-311 Deltona, FL 32725. Toll Free: (844) 320-8912 Fax: (352) 282-3975 Copyright © Eden Software Solutions. 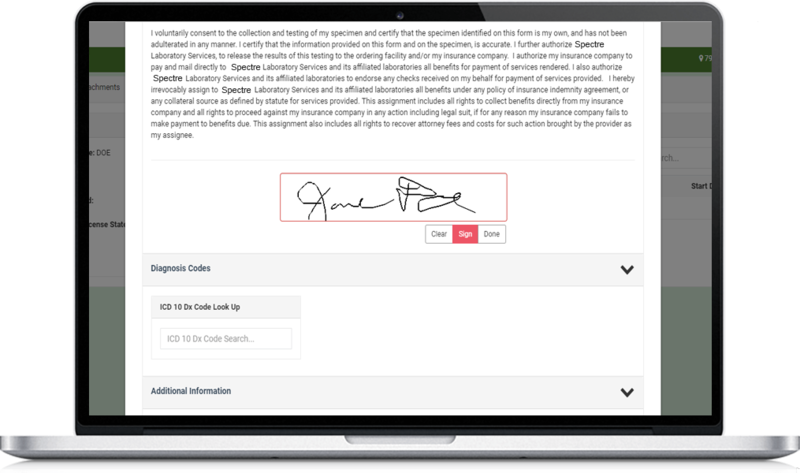 Electronic signatures are another way Eden is able to go paperless. 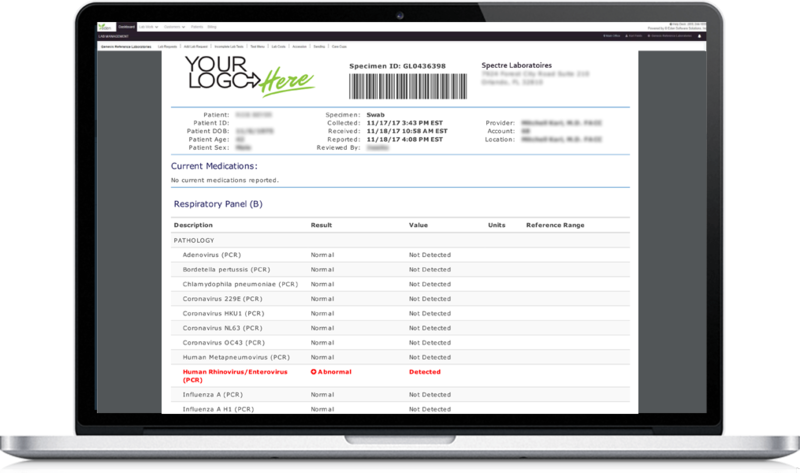 Each physician has their own login credentials where they can apply their own signature. Eden does not auto apply physician signatures. Once logged in, the physician clicks on the E-Sign tab which shows all orders that need approval. Through Eden, sales representatives can organize the chaos that comes with overseeing multiple accounts. Morning reports give you exact numbers for your day, week and month. Information from billing companies can be filtered so that updates on billing are viewable. Eden also has a CRM which walks you through setting up an account but holds it in an inactive state until the account is ready. 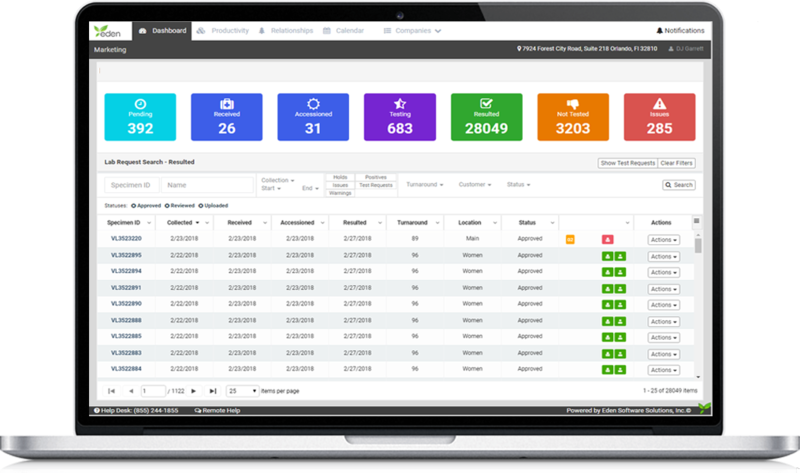 Sales representatives can see which of their samples have been billed, paid, ect. Eden’s goal is to make every step as efficient and simple as possible. We regularly provide demonstrations of our software as well as in-depth trainings. Through Eden’s software, a laboratory can heavily reduce accession time. The sample comes through the door with a barcode label that can be scanned and marked as received automatically. More barcodes can be printed for sample preparation and pictures be taken to attach to the patient profile instantly. Camera can be used to capture facesheets, specimen issues ect. Verifying a patient’s insurance information prior to service is useful for all parties involved. Eden’s patient verification feature is quick, easy and instant. 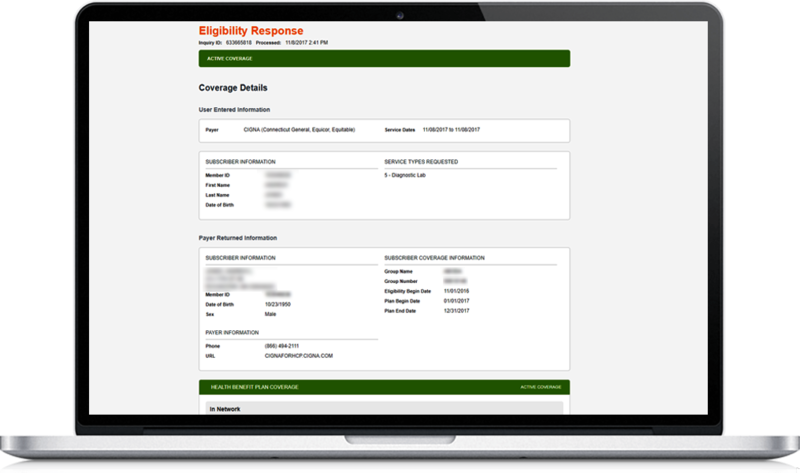 If demographics are completed in the patient profile, they are automatically filled into the verification tool. 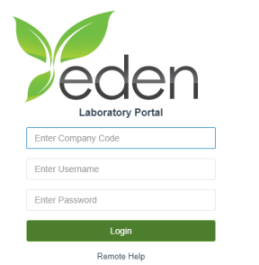 Eden is configured to allow for specific configurable parameters that ensure labs are sent to a myriad of independent laboratories within our network based upon coverage options. 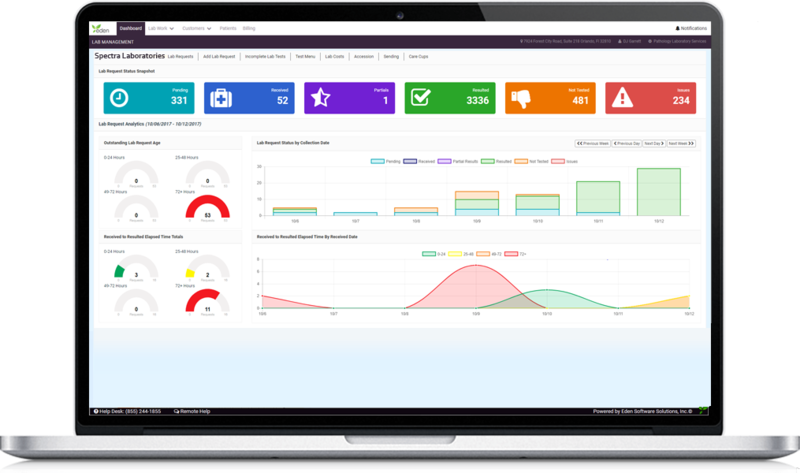 By utilizing either the 15 second verification of benefits utility housed within the software, or simply leveraging the perks of our sorting facility, it’ll ensure that labs are sent to the appropriate vendors reducing the instances where in/out of network policies would reject coverage. 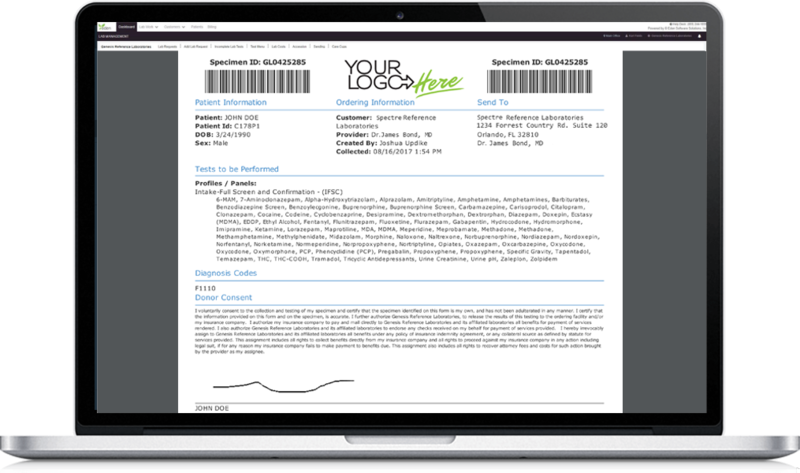 Eden customizes results for each physician at your facility. Through our different key features, the physician can choose ranges, partials, branding and arrangement. Eden’s goal is to ensure the results are available immediately and present the information efficiently. Eden will leverage it’s web based platform to offer accounts the ability to use one portal to create orders and retrieve results. No longer will there need to be multiple portals, different requisitions, different shipping labels, points of contact etc. 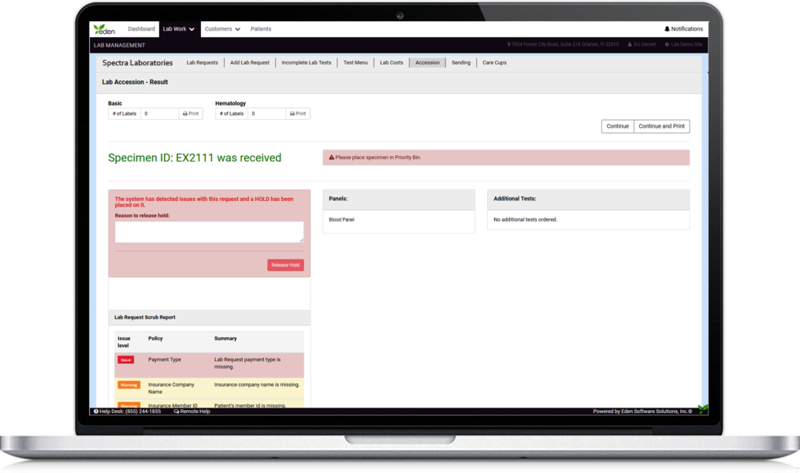 Eden affords your accounts the ability to standardize the front end so no matter where labs are being ordered from, it’s seamless for the users. 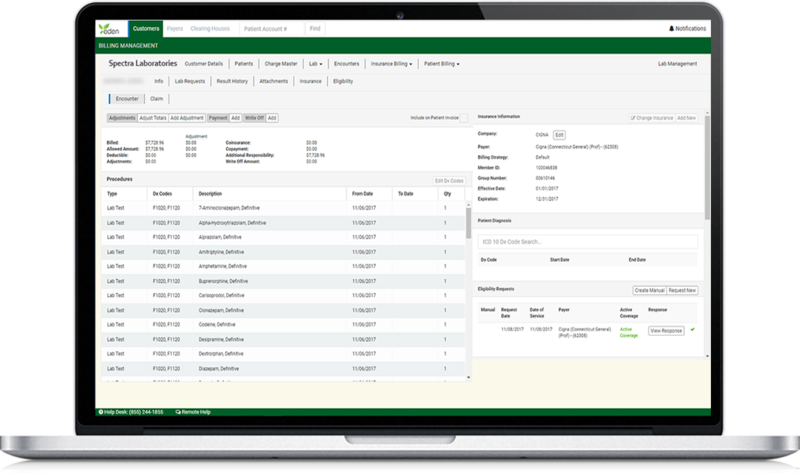 Create a fully electronic order, ships labs to one central location and allow our sorting mechanisms to triage the business based upon unique and custom created parameters.